Can I use a covert camera to monitor someone? Monitoring within the workplace is not illegal, however, business owners must be clear about why and how they will monitor staff. They must also ensure they meet the legal requirement and comply with the Data Protection Act. With various ways to monitor employees, from viewing search history to tracking emails, one of the more physical ways business owners can monitor their staff is by the deployment of CCTV cameras. Based in Bath, our CCTV installers and support team are able to cover the South West of England, including Street, Glastonbury, Wells, Shepton Mallet and much more. Real solutions: In our experience, we have installed covert CCTV cameras to retail properties in areas such as, Street to great success. "CCTV surveillance systems offer a range of features, perfect for a range of uses. 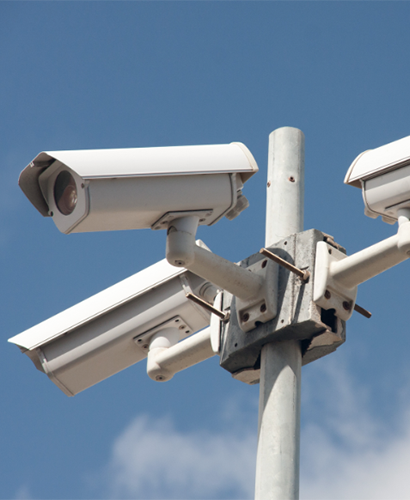 Our team of CCTV installers can help you understand how you can and should use yours." If you decide to introduce CCTV cameras into your workplace, you should ensure you outline the reasons behind doing so. Employers must be clear about why you wish to introduce CCTV to the workplace, understand the negative impact this may have, consider alternatives, and decide whether this form of monitoring is justified. Being clear about why you wish to implement CCTV, will help you understand the type of CCTV your premises requires and where you wish to install them. For instance, cameras to protect employees when leaving the premises will be installed externally, whereas, cameras to monitor employees suspected of theft, are will be installed internally in areas believed to be where the theft occurs. Can convert CCTV ever be used? It is only in exceptional circumstances that an employer can use covert CCTV cameras to monitor their staff. Businesses shouldn’t use covert cameras in toilets or other private areas at work, unless there is a serious crime involved. Do employers need to inform employees? As an employer, you must take ‘reasonable steps’ to let staff know they are being monitored. This could be done by placing informative signs, or by including information within employee contracts or induction workbooks. The information provided to staff should include what you are monitoring and why you, as a company, feel monitoring is necessary. Though you must inform employees of monitoring, whether using CCTV or not, if a company is able to justify monitoring within an impact assessment, they need not acquire consent from individuals. It is important for business owners to fully understand the impacts, risks, and legalities of using covert cameras within the workplace, and we recommend seeking further guidance. If you're look for a covert CCTV camera that is correctly installed by our trusted CCTV installers, call us today on 01225 800 602. A break in? In your business? Speak to our team to find out more about the services that we offer.